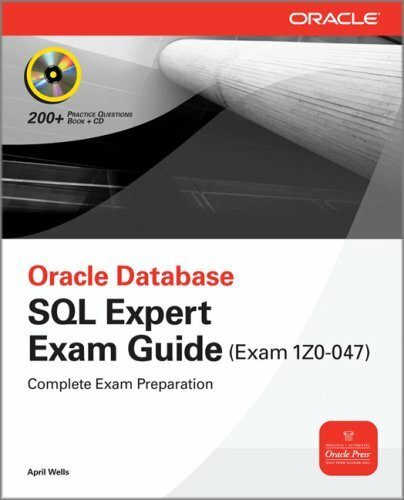 A fully integrated study system for Oracle Certification exam 1Z0-047This exclusive Oracle Press guide covers all of the objectives on the newly created Oracle SQL Expert exam in detail, including control privileges, creating indexes and constraints, altering existing schema objects, creating and querying external tables, and using the advanced SQL features to query and manipulate data within the database.Oracle Database SQL Expert Exam Guide features real-world examples, practice questions, and chapter summaries to help you learn the material. The CD-ROM contains two practice exams and an electronic copy of the book. Gadsden, MD, FRCPC, FANZCA Manoj Kumar Karmakar, MD, FRCA, FHKCA, FHKAM Xavier Sala-Blanch, MD Catherine F.M. Vandepitte, MD Daquan Xu, MD, MSc, MPHSteve O’Hearn, OCP (Bowie, MD) has been an Oracle Certified Application Developer since 1999 and has designed databases for the U.S. Army, U.S. Navy, the FAA, the World Bank, NASA, and others. He is the author of OCP Developer PL/SQL Program Units Exam Guide and OCA Oracle Database SQL Certified Expert Exam Guide, both from Oracle Press.